Regardless of whether it occurs in a cooperative or a coercive setting, verifying that a state has actually abandoned a chemical, biological, or nuclear arsenal is politically vexing and technically challenging. Verifying compliance is ultimately a political judgment; questions will always remain about the nature and number of weapons produced and destroyed and the latent capabilities that remain. Existing methodologies and technologies used to monitor disarmament are limited in their scope and accuracy. They can also introduce externalities. Transparency concerning the verification technologies employed can facilitate cheating by identifying successful denial and deception strategies, while verification data can reveal design, operational, and manufacturing details of weapons systems, information that itself can facilitate proliferation. 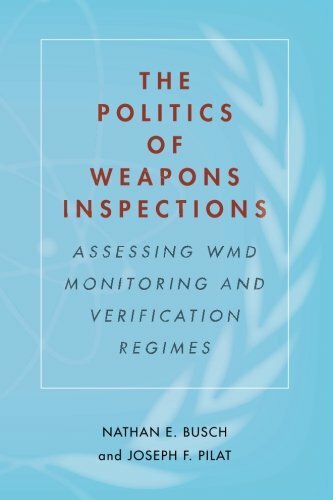 Despite the fact that many disarmament advocates treat verification regimes as a lesser-included problem in the general quest to roll-back the proliferation of weapons of mass destruction (WMDs), there are no easy solutions to this auditing nightmare. The Nuclear Turning Point: A Blueprint for Deep Cuts and De-Alerting of Nuclear Weapons, Harold A. Feiveson, ed. Clinton and Post-Cold War Defense, Stephen J. Cimbala, ed.